Native to Western Australia this tree grows up to 2.5-13m in height and displays beautiful creamy white flowers and grey bark. It's natural habitat consists of along creeks, rivers and margins of swamps. 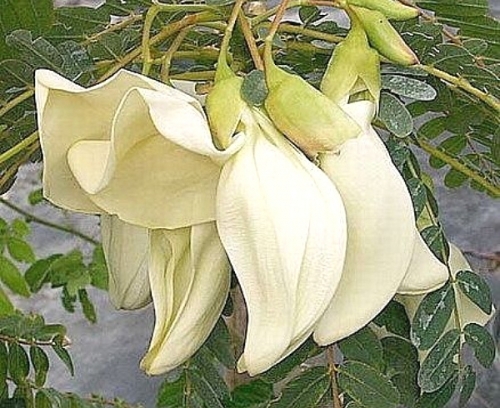 This species is a tropical plant and is frost sensitive. The leaves and flowers are edible and can be eaten raw or cooked; the leaves are steamed, boiled or sauteed in Indonesia and India. Australian Aboriginals used an infusion from the inner bark for treating sores and general illness.